Over the last several weeks, the head banging has intensified. 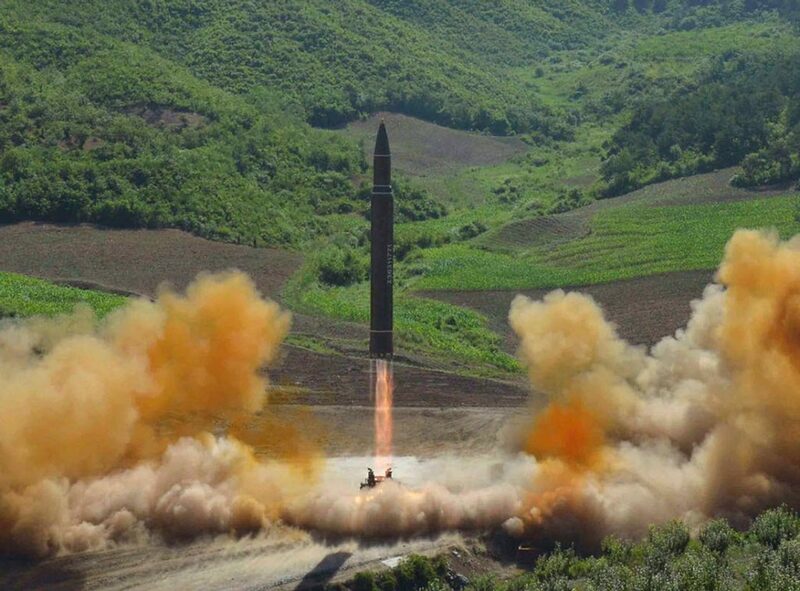 North Korea has tested a couple of possible intercontinental ballistic missiles. In response, Pres. Donald Trump has threatened that country with “fire and fury,” one-upping the rhetoric coming out of Pyongyang. And North Korean leader Kim Jong-un is debating whether to fire a missile or two into the waters around the American island of Guam as a warning of what his country is capable of doing. So far, the prospects for negotiations have been rather dim. True, Trump has directed some backhanded compliments at Kim Jong-un (a “smart cookie”) and broached the possibility of talking person-to-person with the North Korean leader. Backchannel discussions with that country’s U.N. mission in New York have made modest headway over the last several months on issues like the detention of American citizens. But President Trump is, by nature, erratic, and a purposefully understaffed State Department and distinctly under-informed National Security Council are not exactly firing on all diplomatic cylinders. Then, of course, there’s the other alternative — an option also considered by previous administrations. Launching a more concerted effort at regime change. That approach clearly has some traction both with the impetuous man in the Oval Office and within his administration. CIA chief Mike Pompeo has, for instance, spoken of an imperative to “separate” the regime from its nuclear weapons — and he didn’t mean through negotiations. National Security Advisor General H.R. McMaster has openly discussed a “preventive war” option against North Korea that sounds ominously like what the United States had in place for Iraq back in 2003. U.S. Ambassador to the United Nations Nikki Haley even declared at one point that “the time for talk is over.” Presumably she meant the time for talk with, not at, since Trump continues to excel at the latter. The fever dream of regime change has persisted in Washington for decades like a bad case of political malaria that repeated doses of realism have never quite eradicated. The irony is that North Korea is indeed changing, just not in response to what the United States is doing. As with China in the 1970s, Washington could encourage those changes by giving up its aggressive ambitions, stepping away from the lukewarm option of “strategic patience,” and actually sitting down to talk seriously with Pyongyang without preconditions. Lest you think it’s too late for negotiations, remember that the United States was on the verge of bombing Pyongyang in 1994 just before Jimmy Carter went to North Korea and negotiated what would eventually become an agreement to freeze the country’s nuclear program. Yes, once upon a time at least, the Kim family was willing to put that program on hold. Maybe it’s the moment for the purported “adults” in the Trump administration to persuade the president to refocus on his golf game, while some quiet diplomacy gets under way. Only then will Americans get what Secretary of State Rex Tillerson assures us is our birthright — a good night’s sleep. Unlike those other targets of regime change, North Korea lacks any significant domestic opposition that could — at least in Washington’s version of a dream world — rush into a newly created vacuum of authority and set up a more America-friendly government. Indeed, North Korea is a veritable desert of civil society. Forget opposition parties and nongovernmental organizations. It doesn’t even have a few courageous figures like Russian nuclear physicist Andrei Sakharov or Czech playwright Vaclav Havel, who openly dissented from their government’s policies during the Cold War. The only conceivable alternative to Kim Jong Un at the moment might be the North Korean military, the sole institution with sufficient authority to nudge aside the ruling Workers Party. But it’s not clear that there’s any genuine daylight between the Kim family and that military. Moreover, were the generals to take over, they might prove more hostile toward outside powers and even more determined in their opposition to domestic reform than the current leadership. In Cuba, Iraq and Libya, the United States imagined that regime change would flow from the barrel of a gun — from, to be exact, the guns of the U.S. military and its paramilitary allies on the ground. However, with North Korea, even the most die-hard regime-change enthusiasts, like conservative New York Times columnist Bret Stephens, are aware of the potentially disastrous consequences of a U.S. strike. Pyongyang has a dispersed nuclear complex, as well as mobile missile launchers and submarines. Its deeply entrenched artillery and rocket positions near the Demilitarized Zone, long prepared, could devastate the South Korean capital, Seoul, only 35 miles from the border, and the 25 million inhabitants in its metropolitan area. If Washington struck preemptively, the Chinese have been very clear that they would support the North Koreans, which could raise a grim and potentially devastating regional war to the level of a superpower conflict. No matter how it played out, this would be no “cakewalk,” to use a word once associated with the 2003 invasion of Iraq. Hundreds of thousands, if not millions, of people — North Koreans, South Koreans and Japanese and even U.S. soldiers and civilians — would be at risk. In the back of any regime-changer’s mind has to be a single obvious scenario. A replay of Germany’s 1990 reunification in which South Korea swallows the North in a single gulp. As it happens, however, South Korea has shown little interest in copying the German example, certainly not under the leadership of its new progressive president, Moon Jae-In. The current government has, in fact, explicitly rejected any war on the Korean peninsula. Moon instead favors the sort of increased economic and social engagement with the North that might someday lead to some kind of slow-motion reunification rather than an overnight absorption of that country, which would also horrify the Chinese. Such regime-change scenarios always overlook the deeply felt nationalism of most North Koreans. They may not like Kim Jong Un or have much faith in the government, but decades of nationalist education and propaganda have turned that country’s citizens into true believers in the North’s right to independence and self-determination. Virtually everyone there has served in the military, and there can be little doubt that the population is ready to fight to defend their homeland against outside aggressors. As in Cuba circa 1961, regime-change efforts in North Korea already have the stink of failure to them. And even were such efforts to succeed, with a catastrophic regional war somehow being averted, the results would undoubtedly rival the cataclysms that engulfed Baghdad in 2003 and Tripoli in 2011. Millions of North Koreans would potentially stream across the borders of both China and South Korea, creating a massive refugee crisis. The economies of northeast Asia would take a major hit, which might send global markets into a tailspin. And don’t forget North Korea’s nuclear weapons and material, which could elude the search-and-secure efforts of U.S. and South Korean Special Forces and fall into the hands of who knows whom. You’d think that the examples of Cuba, Iraq and Libya — not to mention Afghanistan, Syria and Yemen — would have cured Washington’s regime-change enthusiasts of their recurring illusions. But no such luck, especially since those hawks deeply believe that any negotiations with North Korea will prove utterly futile, merely allowing that country to further strengthen its nuclear program. Back in the 1970s, China was a much crazier place than North Korea, so crazy in fact that thousands of Chinese escaped the madness by fleeing… to North Korea! During the Cultural Revolution that began in 1966 and lasted for roughly a decade, China’s leader, Mao Zedong, lost control of his country as teenage Revolutionary Guards unseated seasoned Communist Party officials. Up to two million people died in the nationwide upheaval. The turmoil in that country was matched by turmoil within Mao himself. In the 1970s, he was overtaken by delusions of grandeur as he began a descent into senility. And yet despite such inauspicious circumstances, the China of that era negotiated quite reasonably with the United States to get the international recognition it so dearly wanted. In 1970, when Pres. Richard Nixon and Henry Kissinger, his national security adviser, decided to orchestrate a diplomatic opening to that country, it wasn’t because China had shown any eagerness for negotiations. The White House was instead attempting to put pressure on Moscow by playing nice with Beijing. In this period, Nixon cultivated a “madman theory” in which his aides were to claim that he was acting in a deranged fashion, leading his adversaries, fearing being nuked, to think twice about challenging him. Even so, Nixon has gone down in history as America’s great dealmaker thanks to his successful “opening” to China. In contrast to China in those years, North Korea is not in a state of chaos. Whatever else you might think about Kim Jong-un, he’s not senile. The country’s foreign policy has been relatively consistent over the decades. The development of a nuclear program has, in its own fashion, been a rational response both to the North’s loss of an edge in conventional military power to South Korea and to U.S. regime-change threats. Remember, for instance, the way Pres. George W. Bush tossed the North Koreans into the “axis of evil” with soon-to-be-invaded Iraq and perennially threatened Iran in his 2002 State of the Union address. In fact, building a nuclear deterrent may be one of the least crazy things that Pyongyang has done over the years. And don’t forget that the United States has successfully negotiated with North Korea on a range of issues from finding and repatriating the remains of American soldiers who died during the Korean War to agreements on nuclear weapons. The 1994 Agreed Framework lasted nearly a decade and effectively froze the North’s plutonium-processing capabilities. In an agreement negotiated during the Bush years, that country actually began to destroy elements of its nuclear program. The nuclear deals eventually fell apart because of violations and bad faith on both sides, but they demonstrate that talking with Pyongyang is feasible and can produce concrete results. Beginning in 1979, aided in part by détente with the United States, China embarked on a series of major domestic reforms. If American officials paid more attention to what’s actually going on inside North Korea — aside from its nuclear program, they would see that the country is changing in spite of, not thanks to, U.S. policy. 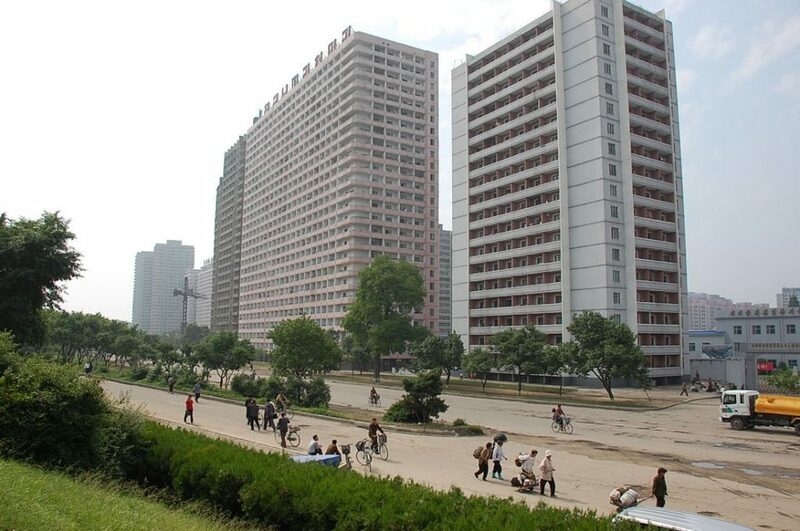 I visited North Korea three times in the late 1990s and early 2000s. There were very few cars on the streets and highways. Cell phones were practically nonexistent. A few semi-private restaurants had just opened in its capital, Pyongyang. Private markets had finally appeared in cities nationwide in response to the breakdown of the government’s food distribution system, but they seemed more like stopgap measures the state tolerated than a permanent feature of the economy. Today, North Korea’s political system remains virtually intact, minus a couple hundred officials purged by Kim Jong Un. Its widespread surveillance system is still in place. There’s neither freedom of speech nor assembly and tens of thousands of its citizens continue to suffer grim fates in its widespread penal camp system. But North Korea is changing. Private markets have become a permanent feature of the landscape, and a rising nouveau riche and an expanding middle class are transforming the DNA of the country. Out of a population of 25 million, as many as three million people now own cell phones and there are enough cars in Pyongyang these days to generate the occasional traffic jam. Those who have become wealthy from market activities are buying and installing solar panels to power upscale appliances such as wall-mounted televisions. Capitalism, in other words, has begun to bubble up from below, even though the United States has gone to great lengths to prevent the country from having any interaction with the global economy. It’s a delicate balance for the North Korean state. The markets relieve the authorities of the responsibility for meeting certain citizens’ needs and taxing the new entrepreneurs brings money into government coffers. But the markets also are a venue for channeling more information from the outside world, as North Korean traders interact with their Chinese counterparts and movies and music from South Korea make their way in via USB drives. More than half a century has passed since that moment and China is still no paragon of democracy or human rights. 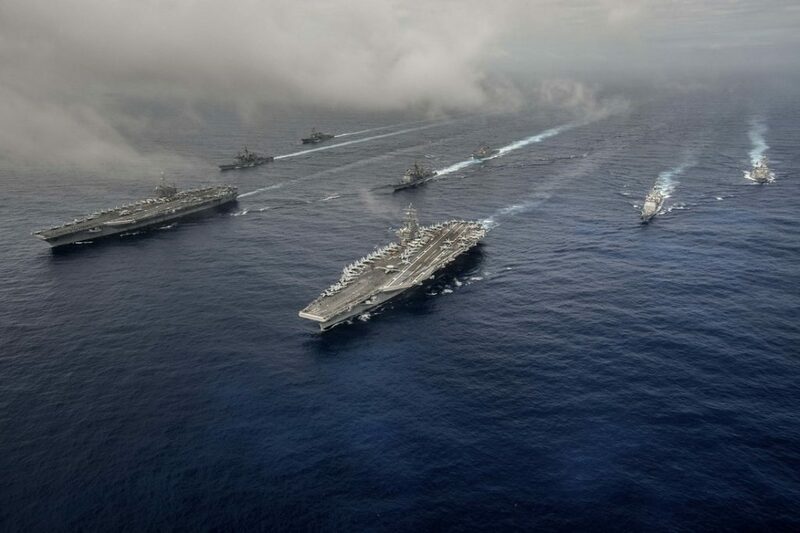 Tensions persist across the Taiwan Strait and in the South China Sea, and Beijing possesses a small but significant arsenal of deliverable nuclear weapons. Few people in the United States, however, worry that China will launch an attack against Guam, Alaska, Hawaii or the White House. China has too much of a stake in the international system to risk losing everything by acting with the “revolutionary fervor” that so worried U.S. officials in 1960. A combination of internal reforms and successful negotiations with Washington transformed that country into a more or less responsible global player. Embedding North Korea in a similar way in the international system of economic and geopolitical negotiations, not to mention human rights conventions, will reduce the threat it currently poses to its southern brethren, its Asian neighbors, and more distantly the United States. Economic sanctions, military pressure, and intemperate threats, on other hand, will ultimately prove counterproductive, doing little but to intensify the nothing-to-lose mentality of the regime, while failing to encourage the changes already ongoing. By continuing to isolate an already isolated land, the United States is only strengthening the very wall against which it’s been banging its head for so many years. John Feffer is the author of the new dystopian novel, Splinterlands. He is the director of Foreign Policy In Focus at the Institute for Policy Studies and a regular at TomDispatch, where this article originally appeared.